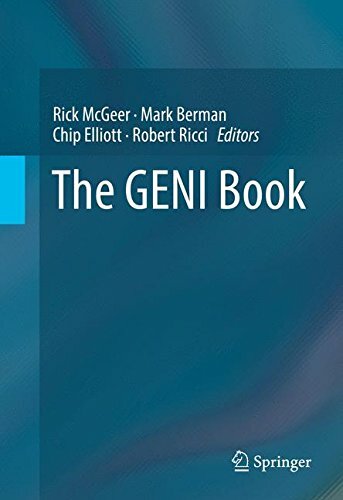 This book, edited by four of the leaders of the National Science Foundationâs Global Environment and Network Innovations (GENI) project, gives the reader a tour of the history, architecture, future, and applications of GENI. Â Built over the past decade by hundreds of leading computer scientists and engineers, GENI is a nationwide network used daily by thousands of computer scientists to explore the next Cloud and Internet and the applications and services they enable, which will transform our communities and our lives. Since by design it runs on existing computing and networking equipment and over the standard commodity Internet, it is poised for explosive growth and transformational impact over the next five years. Over 70 of the builders of GENI have contributed to present its development, architecture, and implementation, both as a standalone US project and as a federated peer with similar projects worldwide, forming the core of a worldwide network. Applications and services enabled by GENI, from smarter cities to intensive collaboration to immersive education, are discussed. Â The book also explores the concepts and technologies that transform the Internet from a shared transport network to a collection of âslicesâ -- private, on-the-fly application-specific nationwide networks with guarantees of privacy and responsiveness. The reader will learn the motivation for building GENI and the experience of its precursor infrastructures, the architecture and implementation of the GENI infrastructure, its deployment across the United States and worldwide, the new network applications and services enabled by and running on the GENI infrastructure, and its international collaborations and extensions. This book is useful for academics in the networking and distributed systems areas, Chief Information Officers in the academic, private, and government sectors, and network and information architects.